Featuring fashion, food, and music from around the world mixed with good old networking. 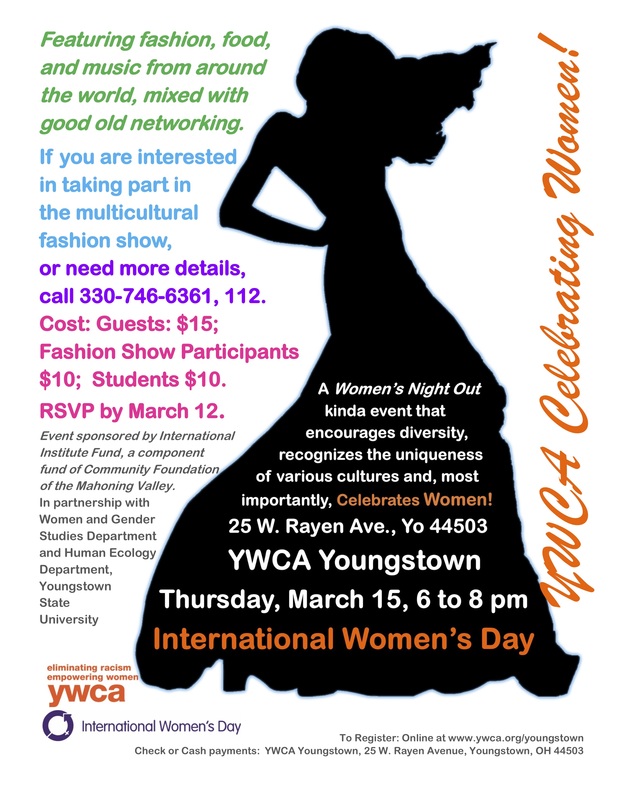 If you are interested in taking part of the multicultural fashion show or need more information call or go online 330 746-6361 www.ywca.org/youngstown. Co-Sponsored by YWCA of Youngstown.